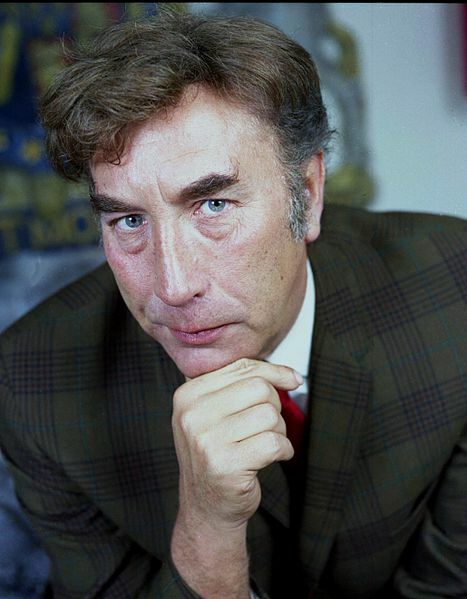 Though Frankie Howerd was and still is “one of Britain’s best-loved comedians”, he was in truth a radical, whose courage and innovation as a performer have too often been obscured by cosy nostalgia. The first stand-up to dispense with conventional punchlines and slick patter, instead he crafted stumbling, surreal streams of insecurity, based on his sense of inadequacy, disappointment and sheer unsuitability to the very job of being a comedian. In his refusal to ‘do’ comedy like everyone else had done, he predated fellow non-conformists such as The Goons, Python and Eddie Izzard. Celebrating Frankie’s centenary, Howerd’s End is a two-hander exploring both the development of Frankie’s comedy, and the clandestine union which made it all possible: his extraordinary forty-year relationship with his lover, friend and anchor Dennis Heymer, whose existence was strictly guarded from the public in Frankie’s lifetime. More than simply a tribute show about a comedian who outlasted them all, Howerd’s End is also a piercingly honest love story about a relationship that tried to defy every odd – including death. Howerd’s End makes its stage debut in 2019.